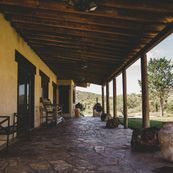 Taken from the Spanish word for "wonder", Maravillas Ranch is nestled in the Del Norte mountain range just outside Marathon. 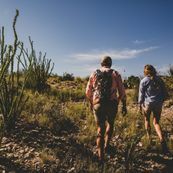 Roam the arid Chihuahuan desert grasslands in your four-wheel drive vehicle, by foot or mountain bike in search of elk, mule deer, whitetail, aoudad, wild turkey and quail or climb among 5,500-foot mountain peaks scattered with juniper, pine, oak and agave for a dramatic view of the surrounding Big Bend region. 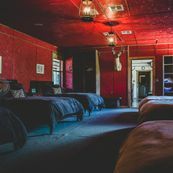 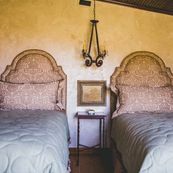 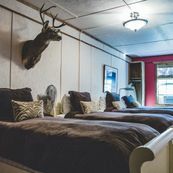 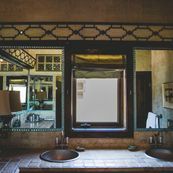 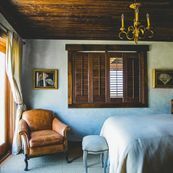 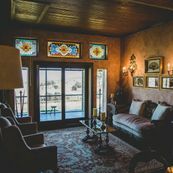 Relax in the historic ranch house with design features reminiscent of Mexican, Native American and cowboy cultures or spend an evening in the rustic cabin in the shadow of the mountains at the fire pit overlooking Maravillas Creek. 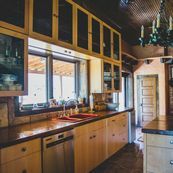 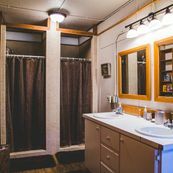 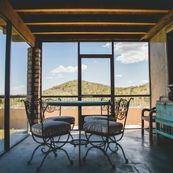 Both houses are air-conditioned, have Wi-Fi, include fully-equipped kitchens, and allow for outdoor cooking in the crisp desert air and screened porches for resting in the mid-day shade. 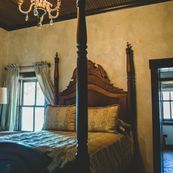 Three night stays include a private chef and a guide. 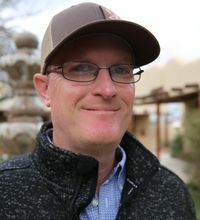 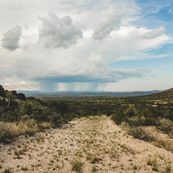 The centerpiece of Maravillas Ranch are the Del Norte mountains and Maravillas Creek, one rising dramatically from the high desert while the other collects seasonal rains from the jagged mountain slopes to the Rio Grande River. 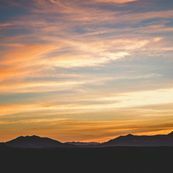 The distinct limestone and igneous formations are the result of the region transforming twice from sea to mountains. 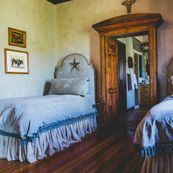 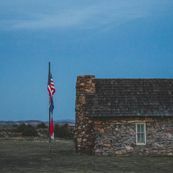 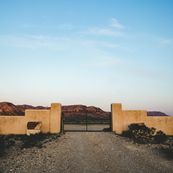 In more recent times, Maravillas Ranch adjoined the Comanche Trail, blazed by Comanche Indians en route from the western plains to Mexico and later traveled by emigrants and soldiers. 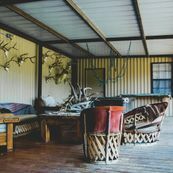 After over a century of livestock grazing, the ranch is now an oasis for wildlife. 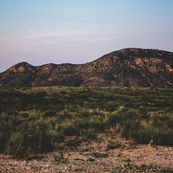 This remote area between Marathon and Big Bend National Park is punctuated by clear night skies, mountainous terrain, desert grasslands, miles and miles of ranch roads, scenic views and the seasonal waters of Maravillas Creek that provide habitat for diverse plant and wildlife species. 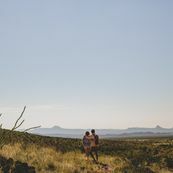 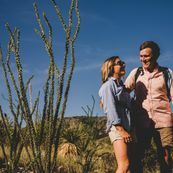 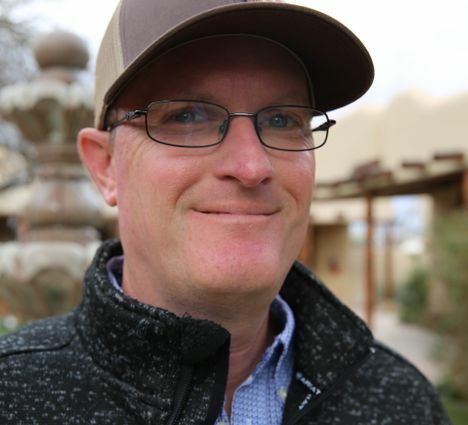 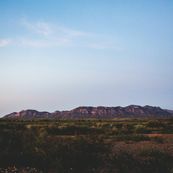 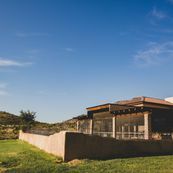 "Experience the best of the Big Bend region - hike up into the mountains or relax by the creek and take in the breathtaking views of the Chihuahuan Desert."